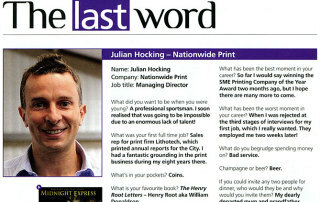 Nationwide Print cover all our printing needs – everything from simple business cards to 100 page bound books. They print our menus, invites, leaflets, flyers, packaging, brochures and posters. Recently we have also commissioned some food wraps on specialist foil papers. Typical jobs could include a small digital print of 100 A5 flyers for an event, or up to 100,000 Welcome Leaflets. There isn’t often a week when Nationwide are not printing something for us. Flexibility, as well as the usual preoccupations around lead-time and cost. Quality is paramount, and Nationwide have always impressed in this respect. We also value their proximity, and the fact that it is easy to meet and discuss our requirements face to face if we need to. 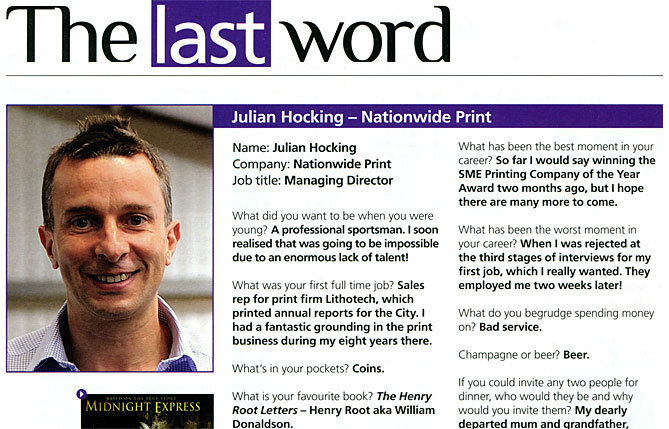 We often end up printing things with a very short deadline; Nationwide always go above and beyond to deliver in time. 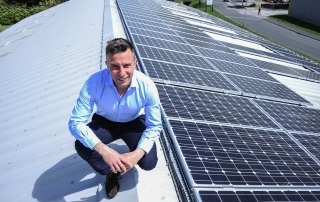 We enjoy working with Julian and the team because innovation is really nurtured, and they are always receptive to new technologies and efficiency improvements. The fact that Nationwide Print is a leader in green printing and has invested in renewable energy is really important to us. Nationwide use solar to meet almost all of their energy needs, as well as getting approval from the Forest Stewardship Council. Their proactive attitude helps us meet our own procurement standards. Drupa is the most important international event in the print industry; taking place every four years, it gives businesses and investors a platform to discover new technology, discuss global trends and develop key relationships. The motto for this year’s conference was ‘Touch The Future’, highlighting its ambition to place “the industry’s innovative power centre stage” and provide a platform for future technologies. Next-generation print, packaging production, multichannel, 3D printing, functional printing and green printing were all given special attention. Drupa is important because it’s a key forum for new technologies and ideas. 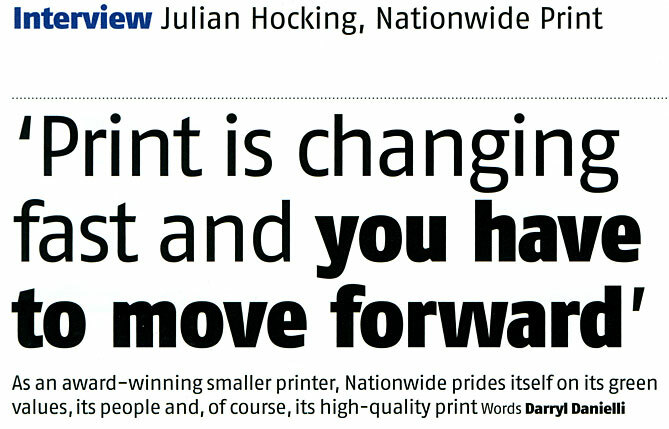 Print is changing rapidly and here at Nationwide Print we need to be at the forefront in order to remain competitive. Digital print is going to become dominant in all forms and sizes – including B1. 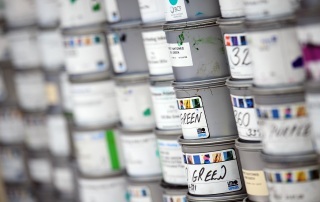 The quality of digital is now matching litho and the cost is becoming more attractive, especially for SMEs like us. Other interesting developments also caught my attention. For example nano technology is a new way of printing and it’s to do with nano-sized pigments having very powerful colorants. It’s extremely interesting and is happening now! However, perhaps the most important development for Nationwide Print is the evolving ‘total solution’ and ‘added value’ approach to printing needs showcased at Drupa. Print has become more than ink on paper. We recently purchased state of the art equipment and software from global technology company Ricoh. MarcomCentral offers a complete online Marketing Asset Management solution for delivering cross media campaigns. One of the reasons I travelled to Dusseldorf was to promote this collaborative project with Ricoh. We are excited to welcome four new recruits here at Nationwide Print this summer – each bringing valuable expertise to our growing team of print specialists. We have made the series of appointments in order to increase capacity, while continuing to achieve the highest standards in pre-print, production and finishing for our clients. 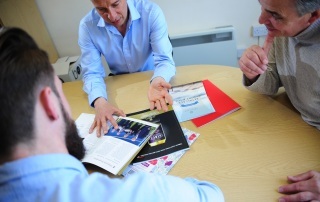 Remaining at the cutting-edge of the print industry requires investing in highly trained and skilled staff, as well as in new technology, in order to deliver great results. Andrew Mole is a print finishing specialist who previously worked at Francis Anthony Ltd; Andrew is tasked with stitching line, laminating and die cutting in order to finish printing tasks to the highest standard. Another new recruit, Matthew Pascoe, is following in the footsteps of his father; Mike Pascoe is Nationwide Print’s Production Manager, and has been at the firm for 5 years. Matthew joins him in the production department, and is also working on developing our new software: MarcomCentral offers print service providers a complete online Marketing Asset Management solution for delivering complex cross-media campaigns. 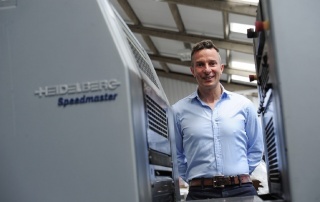 Meanwhile, estimating is being overseen by newly appointed Estimating Manager, Nigel Williamson, who joins Nationwide Print after previous roles at two other local printers – Deltor and Four Way. 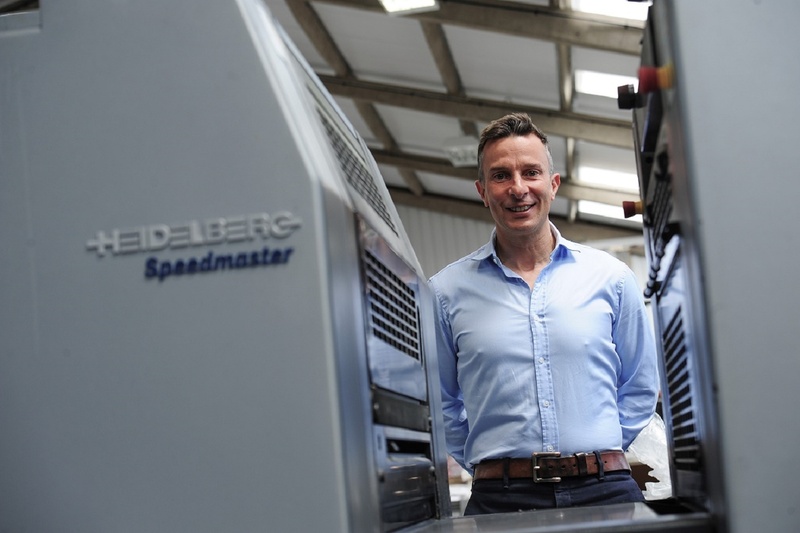 Finally, our pre-press and digital departments have been strengthened with the edition of Dean Taylor from St Ives Printing and Publishing, who will help the firm keep pace in this rapidly growing area of print technology. 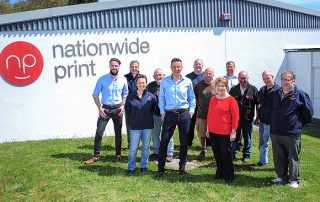 Employing skilled local people – and adding to that pool of skills through training and development opportunities – is central to our philosophy here at Nationwide Print. We hope to continue to grow the workforce for many years to come. 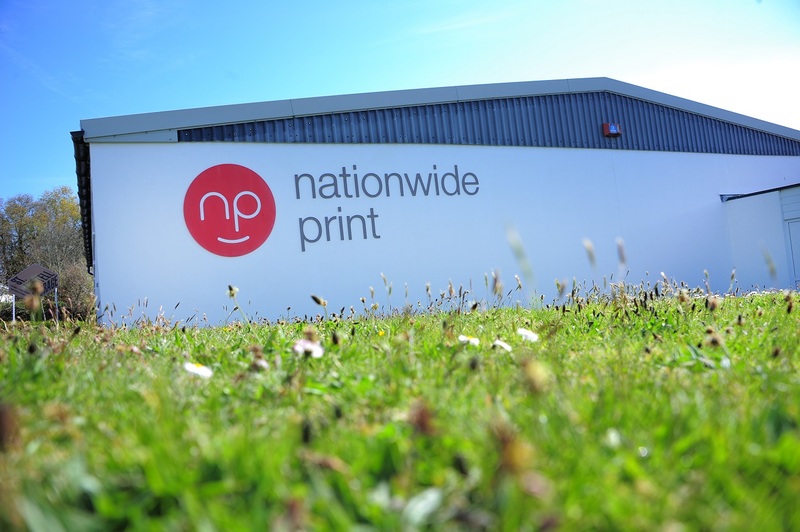 Here at Nationwide Print, we are thrilled to announce the arrival of new state of the art presses, laminators and digital printing technology this month, after significant investment in equipment. The arrival of our shiny new kit is the result of a growing client list and a bulging order book, reflecting our commitment to quality, customer service and technological innovation. Operated by our highly trained staff, the new equipment will allow us to continue to exceed the expectations of our clients; it will also help to future-proof the business for some time in a dynamic industry which is always evolving. The new toys include a P8000 Epson for large format posters and banners; the latest in photographic ink jet technology, this machine offers unrivalled coverage, precision, speed and quality. Our clients will also benefit from a B1 Laminator for longer run printing tasks. In terms of digital technology, a new Ricoh 7100 press will allow our expert technicians to get great results as they work with cutting-edge lasers, premium finishes and new ‘textured media’ to produce light packaging, direct mail, books, brochures and business cards. A custom-built digital room has been constructed to accommodate this machine alongside the existing Ricoh digital kit here at Nationwide, creating a specialist centre for new printing technology. The purchases add to our armoury for both litho and digital print runs of all sizes, and will allow Nationwide to continue to compete at the top level in our industry. 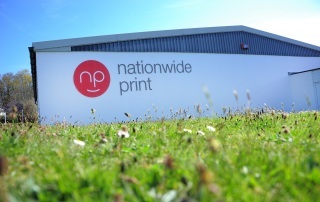 With continued investment in new technology as well as staff training, and our ongoing commitment to environmental sustainability, we believe that Nationwide Print will still be employing local people in skilled jobs for many years to come. 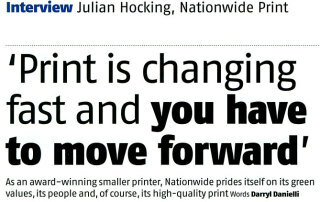 PrintWeek’s SME of the Year, Nationwide Print, is proof positive that small can indeed be beautiful.